Friends, today is a good day, because we’re talking about three of my favorite things: baking, chocolate and Christmas gifts. Hooray! 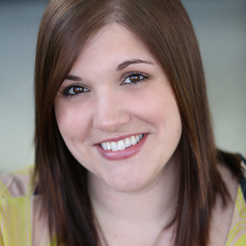 One of my favorite gifts to give during the holiday season is a great gift basket. 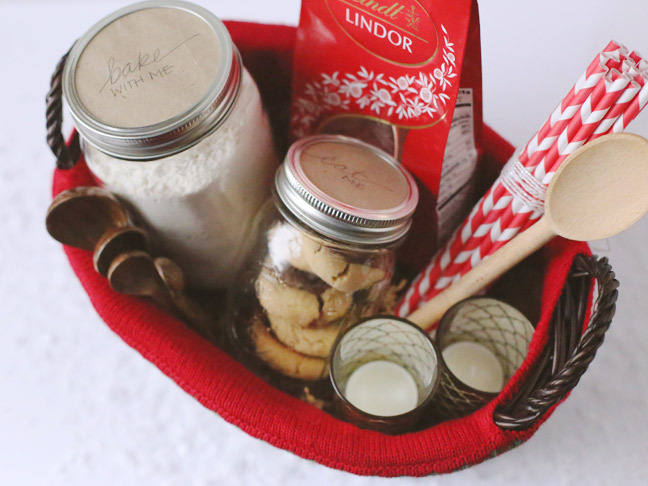 Today we’re making the ultimate Christmas cookie gift basket! 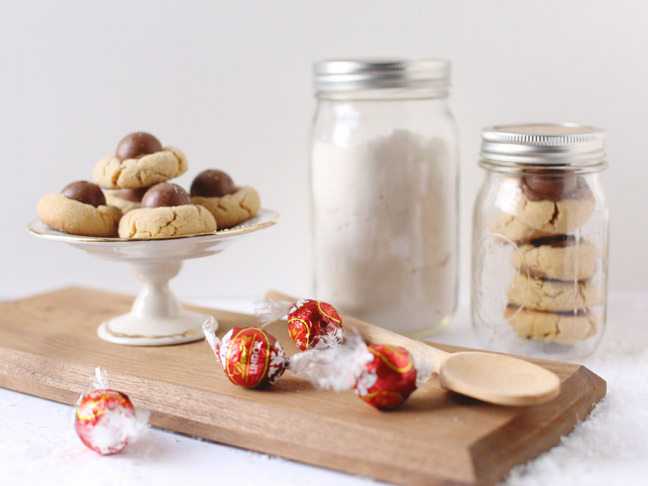 Loaded with yummy treats, a few pretty little baking accessories, baking mix, and a favorite cookie recipe, it makes a perfect hostess gift or an amazing present for a co-worker or neighbor. So let’s do this, shall we? Step 2: Bake a batch of Christmas chocolate truffle cookies. 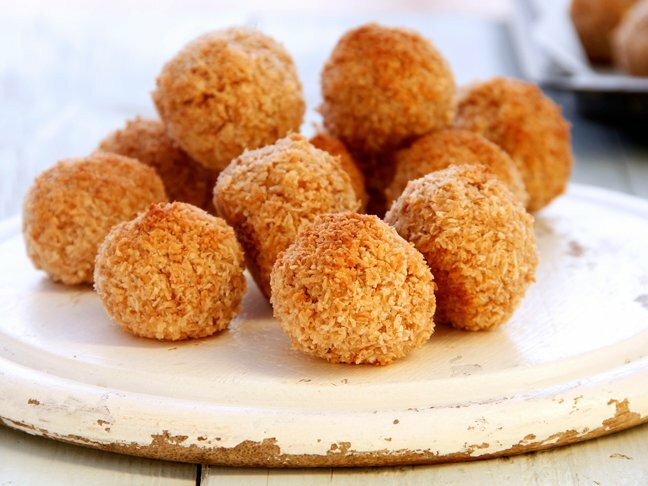 Made with Lindt LINDOR truffles they are irresistibly yummy! 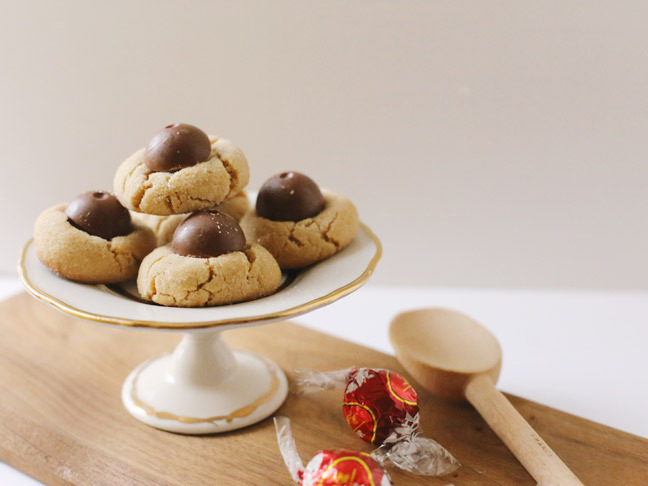 That smooth, melting chocolate center just takes these cookies over the top. Once cool, place several in a mason jar for including in the basket. In a separate mason jar, measure out the dry ingredients from the recipe. Then label each jar by cutting a piece of kraft paper to fit the lid and labeling each with a marker. 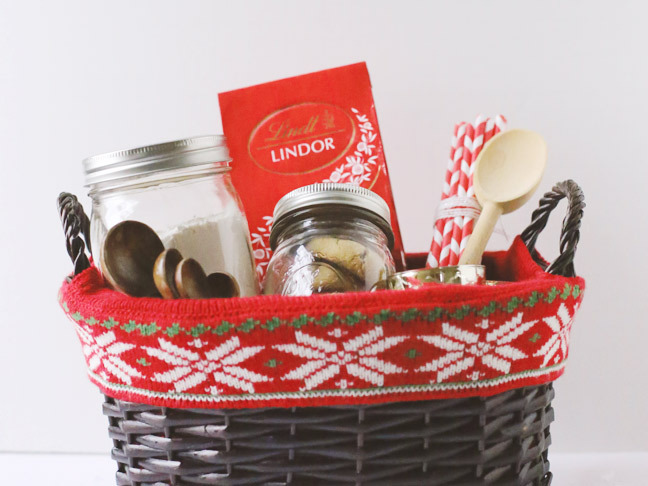 Tuck the mason jars and a bag of Lindt LINDOR Milk truffles into the basket. And it’s that simple, friends! A pretty and super-thoughtful gift basket that’s perfect for just about anyone on your list this Christmas season. Bonus! 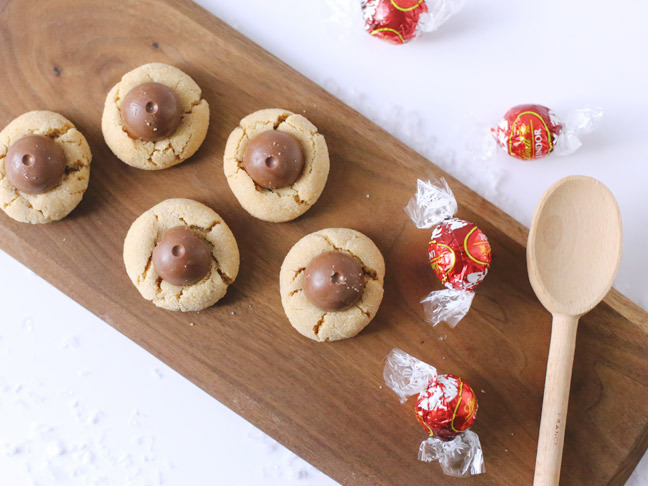 It’s loaded with yummy treats and features an easy cookie recipe that’s insanely delicious. 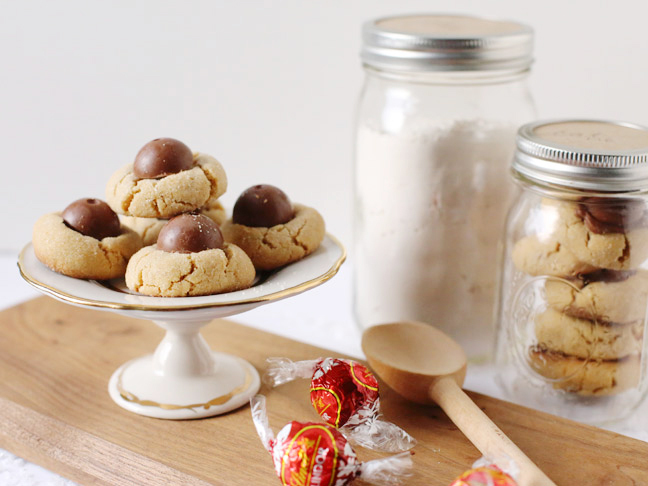 The cookie recipe is actually adapted from one of my mom’s recipes that has been a favorite of mine since childhood, so it’s entirely tried and true. 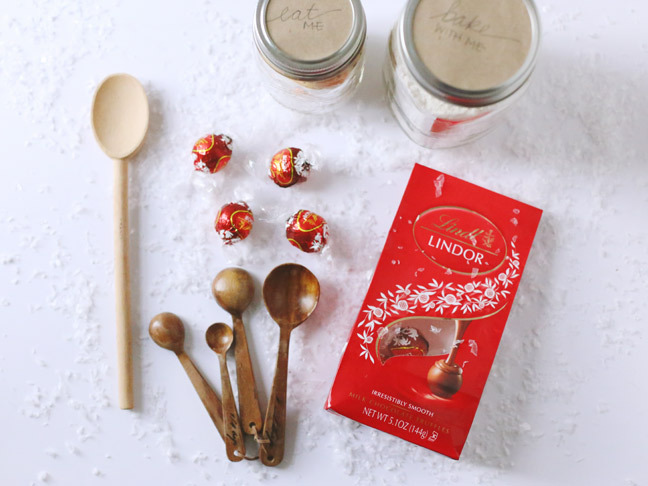 Adding the Lindt LINDOR truffles on top only makes them that much more delicious!